Want to make a statement with bold lips and nails? Then you’ll love this Rimmel competition! 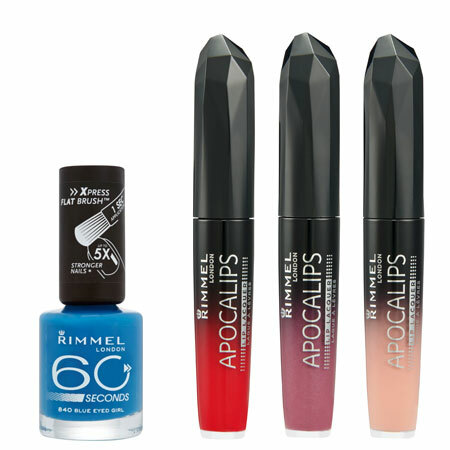 Five lucky readers will each win a Rimmel hamper containing three Apocalips lip glosses (in shades Phenomenon, Galaxy and Big Bang) and a Rimmel 60 Second Nail Polish in Blue Eyed Girl. To stand a chance at winning, all you have to do is answer the question below and submit your details.